Furniture and other house design elements. What kind of furniture should we buy? Where can we buy luxury sofa? By far the most important equipment in every bedroom is a comfortable bed. Although there are many such products on the market, many people still do not know what to choose. How to choose a bed for the bedroom? What to look for? Why is it worth focusing on quality? Sleep comfort is the most important, so first decide what width to have the bed. The most optimal width for a single bed is 90 cm, while the double bed is standard 160 cm. In the event that the room conditions do not allow such a width of the bed to be placed in the bedroom, choose a bed with a width of 140 cm. If the bedroom is very small, a great solution is to buy a continental bed, which without a frame, allows you to save some space in the room. So what is the difference between a continental bed and a frame bed? 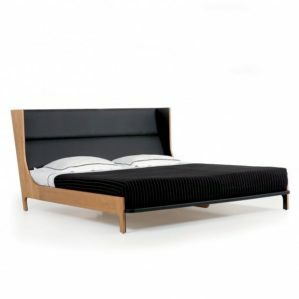 In the frame bed, the mattress is embedded inside the frame, and in the continental bed the mattress does not hide in the frame and lies freely on the bed box. The headrest is also one of the most important elements of designer beds. It not only affects the comfort when you want to read a book in a semi-sitting position, but also greatly affects the appearance of the bed. The headrest is the decoration of the bed, and its appearance affects the character of the interior of each bedroom. When buying a bed, you can often modify the height of the headrest in virtually any available bed model. Thanks to this, we do not have to worry that the designer beds will not fit into the attic bedroom, or it will not fit under the wall buildings located in your bedroom.